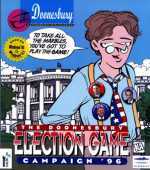 The Doonesbury Election Game: Campaign '96 is a fun but largely forgotten simulation of the 1996 U.S. Presidential Election that allows the players to create their own tickets, pick campaign staff from dozens of comic strip Doonesbury characters, and run the campaign. Designed by Randy Chase, Doonesbury Election Game plays like an updated version of his 1993 classic Power Politics, except this time there are many more options and trimmings, although not necessarily a brighter AI. You play the role of campaign manager for whichever party you choose: Republican, Democratic, or Independent. You will have control over all aspects of your candidate, but will still have to remain aware of your competitors, as they will do anything to thwart your campaign. When the game begins, your first duty is to pick your party and candidate from a list of real 1996 candidates. If you dislike them all (who doesn't?) you can create your own. 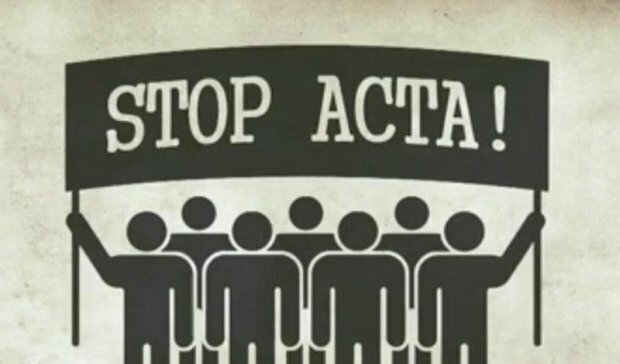 Any candidate can be controlled by a human player, so up to 3 people can join the game. You then get to decide on your candidate's attributes and views on topics such as abortion and gun control. You will then pick your running mate and staff. Here is where Doonesbury fans will have the most fun, because the the advisors are chosen from a pool of major Doonesbury characters, each with his or her own strengths and weaknesses that are true to the series. There are 4 positions to fill: Strategy Advisor, Spin Doctor, Financial Advisor, and Communications Director, all of whom are crucial to your success (although I suspect the Spin Doctor to be more influential than others). 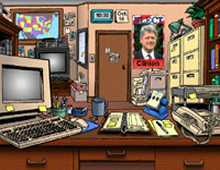 Gameplay is turn-based, with you deciding on what to do each day in your office as the clock ticks down towards Election Day. You can call each of your advisors to get news updates and advice. You can schedule trips for your candidate and running mate, and arrange events that would help your campaign in different ways, e.g. a political rally helps gain press exposure, while fundraising events allow you to meet with the voters and fill your coffer in the process. When things really start to heat up, you can challenge your opponents to a debate. You can order a poll in each state to see how well your campaign is going, and spend money on advertising and press conferences. One of the things I like most about the game is that the computer has a wealth of statistics and information on each state's voting history. You can check on your opponents' win/loss record to see how well they've done in previous elections. Lastly, you can watch short 30-second video clips of different candidates from past elections. As the day wears on, you receive newspapers, poll results, and notes from your advisors. The game is reasonably realistic -- I played the game twice, with a sure-fire losing strategy on my second try (e.g. put all my money in a state I know I’d win anyway). And sure enough, I lost. If you're interested in politics, Doonesbury Election is a lot of fun, although SSI's classic President Elect feels even more realistic. Two thumbs up, but be warned that the game will probably feel too dry and repetitive if you're not really into political simulations.